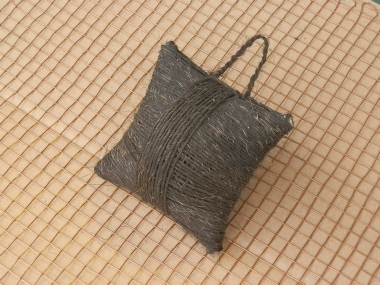 Made by hand with fibres from a tropical palm, this twine is really very strong and rustic in appearance. It is ideal for tying the wooden and bamboo labels onto plants, and cab be used to tie climbing plants onto wires on walls. 2) The price for the rest of world exclude VAT, as VAT is exempt for exporting goods to a destination outside the UK & EU. This plastic strand is really strong. 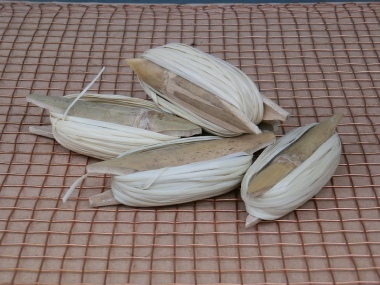 It comes on a bamboo ‘spool’ and look a little like raffia, but it is a solid plastic strand which is good for tying wooden and bamboo labels and for general garden jobs. We recommend a metal wire for fixing the metal labels to trees and shrubs. You need a wire which will last as long as the label will last. Galvanised wire is ideal, with a diameter of 1.5mm to 2mm. You can get this from a hardware shop or builders merchant. Copper wire is also good for tying labels onto your plants.